Attorney General Jeff Sessions backed his decision by saying asylum was not meant to be a redress for all misfortune. Those fleeing domestic abuse and/or gang violence will no longer be able to seek asylum in the U.S.—at least, not if Jeff Sessions has anything to do with it. On Monday, Sessions reversed an immigration appeals court decision that granted asylum to a Salvadoran woman who said she had been emotionally, physically, and sexually abused by her husband. The controversial decision was made in the wake of mounting pressure from the Trump administration to tighten the nation’s borders. But as The New York Times points out, hardly any asylum seekers are permitted permanent entry into the U.S. in the first place. Data gathered from the Department of Homeland Security shows that in 2016, for every applicant who succeeded, 10 others failed. The role of Attorney General was established in 1870 as part of a law entitled, “An Act to Establish the Department of Justice.” As head of the Department of Justice, the Attorney General has authority over all U.S. Attorneys, U.S. Marshalls, and any other counsel employed on behalf of the government. 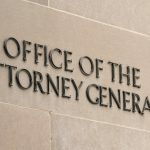 The Attorney General’s purpose is to oversee the operation of the Department of Justice, which includes all other organizations under its purview. The Drug Enforcement Administration, Bureau of Alcohol, Tobacco, Firearms and Explosives, Bureau of Prisons, Federal Bureau of Investigation, Office of Justice Programs, and the U.S. Attorneys and U.S. Marshals Service all fall within the Department of Justice. 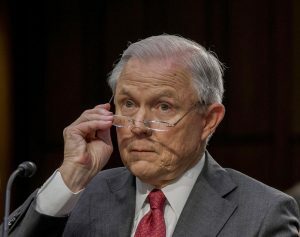 Even so, Sessions remained adamant that the Obama administration created “powerful incentives” for immigrants to “come here illegally and claim a fear of return.” In a speech given prior to the ruling, Sessions claimed that the number of people who reported a legitimate fear of persecution jumped from 5,000 in 2009 to 94,000 in 2016. Naturally, the decision drew ire from immigrants’ rights groups and domestic violence organizations. Karen Musalo, a defense lawyer on the case, contends that it is a step backward. “What this decision does is yank us all back to the Dark Ages of human rights and women’s human rights and the conceptualization of it,” said Musalo, who is also the director of the Center for Gender and Refugee Studies at the University of California Hastings College of the Law.